Rene Ruiz ball gown with embroidered overlay. 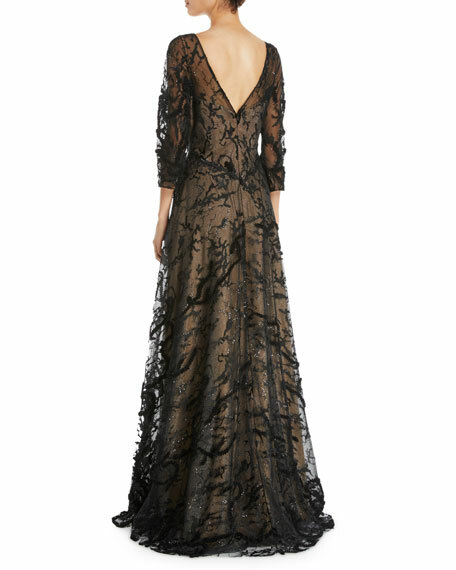 Bateau neckline; sheer yoke; V back. For in-store inquiries, use sku #2726202.